HERE HE COMES: Spanish world champion Javier Gomez makes his ironman debut in Geelong next weekend. Five-time ITU World Triathlon Champion and Olympic silver medallist Javier Gomez has confirmed he will compete in Geelong’s Ironman 70.3 next weekend. The Spaniard will make his debut in Geelong after winning the the Ironman 70.3 World Championship in 2017 and making the switch to full-distance racing. Even organisers described Gomez as “one of the world’s most consistent athletes, without a weakness in any discipline”. His presence would make the Geelong round “one of the highlights” of the 2019 series, they said. Gomez said the Geelong event would set himself up for an assault on the world championships in France later this year. 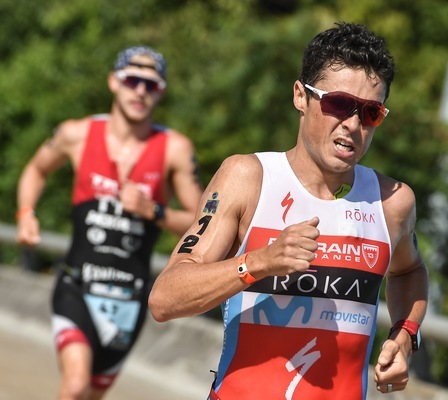 “It is true that February is normally a bit soon to race for me but the main goal for racing so early is to validate my slot for Ironman 70.3 world champs,” he said. “This is my first time in Geelong, so I want give my best on race day and then see how it goes. It is a race that I have been looking at since years ago and now it will be finally possible to make it happen. The 2012 Olympic silver medallist said he had unfinished business with the standard distance ahead of next year’s Tokyo Olympics. “Validating in Geelong is my first priority but after that I will return to the Olympic distance for the first part of the season and will be focused on the ITU World Triathlon Series Olympic races,” he said.